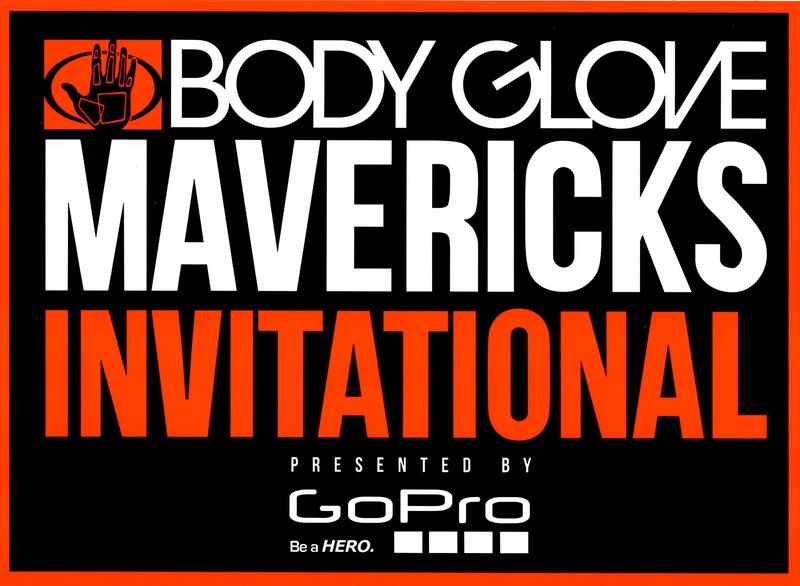 The Mavericks Invitational has a new title sponsor now that Body Glove has announced a “multi-year” deal with the big wave surfing contest. 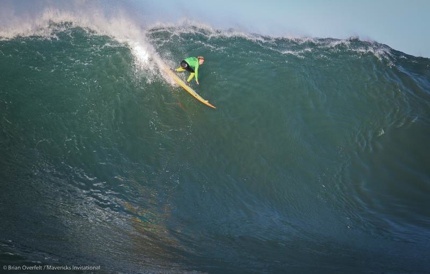 This should help keep the Mavericks contest on some firm footing for a while. For the official word from Body Glove, follow the jump. When a true waterman has to go it’s not bad to be on the water as Body Glove co-founder Bob Meistrell was on Sunday, June 16, 2013. Meistrell was on his yacht The Disappearance on Sunday morning when he had a heart attack, according to a story in the Daily Breeze. He was 84 years old. The Disappearance was the lead boat in the 22-mile Rock 2 Rock race Sunday from Isthmus on Catalina to Cabrillo Beach in San Pedro. 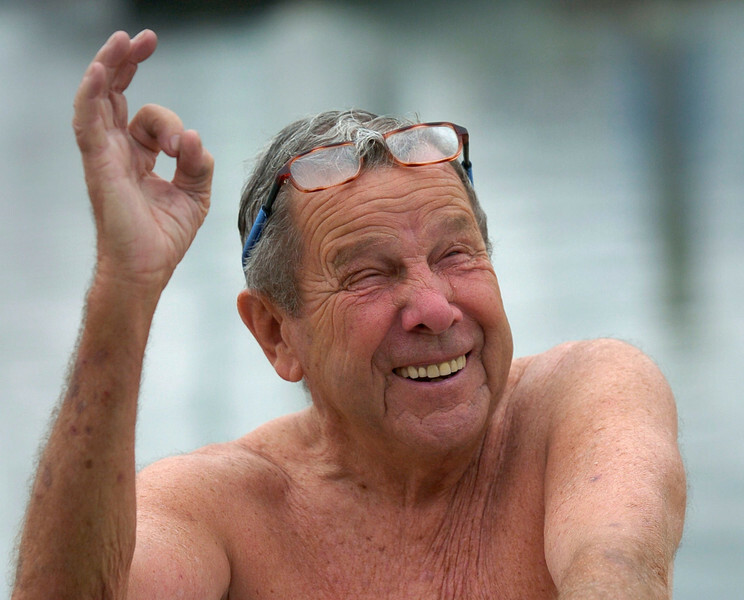 As he’s done in previous years, Meistrell led the paddleboarders out of the harbor about 6:30 a.m., his son said. . . But around 7, Robbie Meistrell said he’d received a call that his father’s boat, which was also carrying his mother, Patty, and a second cousin, had a double-engine failure. He was nearby and preparing to help tow the vessel in when he heard soon after that his father had suffered a heart attack in the boat’s engine room, he said. Meistrell, who founded Body Glove with his twin brother Bill, will be remembered as a legendary diver, surfer, and waterman. Our thoughts are with the entire Meistrell family. Ah yes, neon. . . clink the link for all the flash. From April 28 – May 2, 2015 The Oakley Lowers Pro will post up at California’s Trestles and bring with them some of the best surfers in the world (even though it’s not a major content production event) thanks to six wildcard positions. One of them will be Kelly Slater. 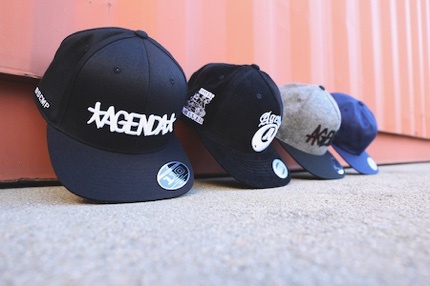 What better way to kick off the new year that by diving deep into the action apparel-poloza that is the Agenda Show. It opens its two day run at the Long Beach Convention Center in Long Beach, California today at 9 AM. Over 500 brands are represented at the show. So don’t think you’re not going to find what you’re looking for. On Friday, January 24, 2014 the biggest names in big wave surfing will be making their way to famed Northern California big wave spot Mavericks for this year’s running of the Body Glove Mavericks Invitational Presented by GoPro, and yeah, the swell report looks huge. Mavericks Invitational Contest Director Jeff Clark stated, “This is going to be a powerful and memorable swell, and we are looking at waves upwards of 40 feet.” The first heat takes place at 8 a.m.
Good news just keeps pouring in from the surf world. GrindMedia, the producers of the Lowers Pro since 2004, announced today (March 5, 2013) that the ASP Prime surfing even at Trestles has been canceled for 2013. Though their official headline says the event was “postponed” the truth is that it’s not going to happen this year, though they say it will be back in 2014. 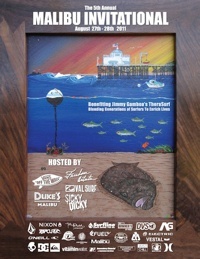 Hey, just noticed there may have been something we missed at Surf Expo (shocking, right?). It was the Stokes Me Surf Contest at Typhoon Lagoon (not featured in the video above). Apparently, the contest raised $13,000 for the Stokes Me Challenge effort to raise money for 10 different SIMA Humanitarian Funds. And that’s good. 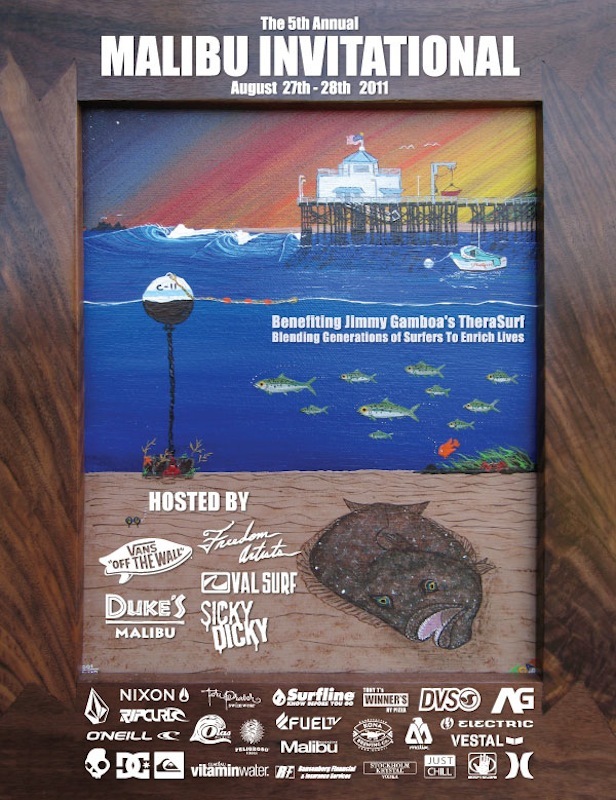 On Saturday and Sunday, August 27-28, 2011 the Fifth Annual Malibu Invitational returns for a fifth consecutive year to Surfrider Beach and the Malibu Inn.